"dr Rodriguez was wonderful. she took her time listening to me and understanding my concerns and I believe provided me with the best follow up care. I will highly recommend her." "whole 1st experience was great!! wish my office was as nice . my office is very small this office had plenty of room." "Dr Rodriguez is the best doctor I have ever had. Absolutely think she's amazing!" 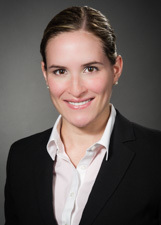 "Dr. Rodriguez is excellent and I would recommend her without hesitation." "Dr. Rodriguez isn't even my regular DR., but I had blood work I wanted to go over an she was taking my dr.'s appts. last minute. She was very thorough and stayed late for me." "Dr.Rodriguez just made you feel like she genuinely cares, and not a lot of doctors make you feel that way. she's awesome!" "Dr. Rodriguez made me feel very comfortable. She explained everything very well and help me to follow my wish of TOV. I'm very happy with her. I recommend her 100%." "This was my first visit with a new doctor after more than 30 years with another GYN. This doctor was above and beyond what I expected. I hope it continues as I continue to be her patient." "she made me feel so comfortable, like we were old friends, she's just the one with the medical degree :)"
"Dr. Rodriguez is a great doctor. I can tell she loves what she does." "Dr. Gianni Rodriguez-Ayala was great. She was very nice, friendly & knowledgeable on questions I had. She helped me with an issue I was having. I'm very happy with my doctor. Also a first visit. I would definitely recommend." "Dr. Rodriguez was very professional and was lovely." "Dr. Rodriquez & Dr. Kramer are absolutely amazing. "